The aviation industry is working intensively and successfully to reduce the specific energy requirements of its aircraft. 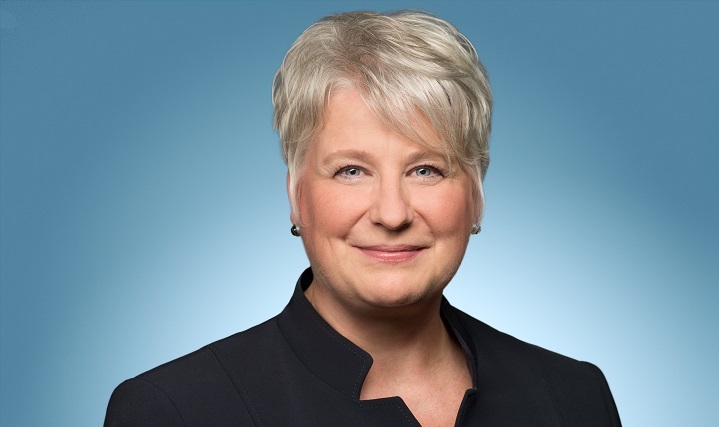 At the same time, the industry has set itself the goal of using sustainably produced alternative fuels and developing new engines that will make aviation CO2-neutral in the future. In addition, it has been decided to introduce a CO2 compensation system at international level from 2020. 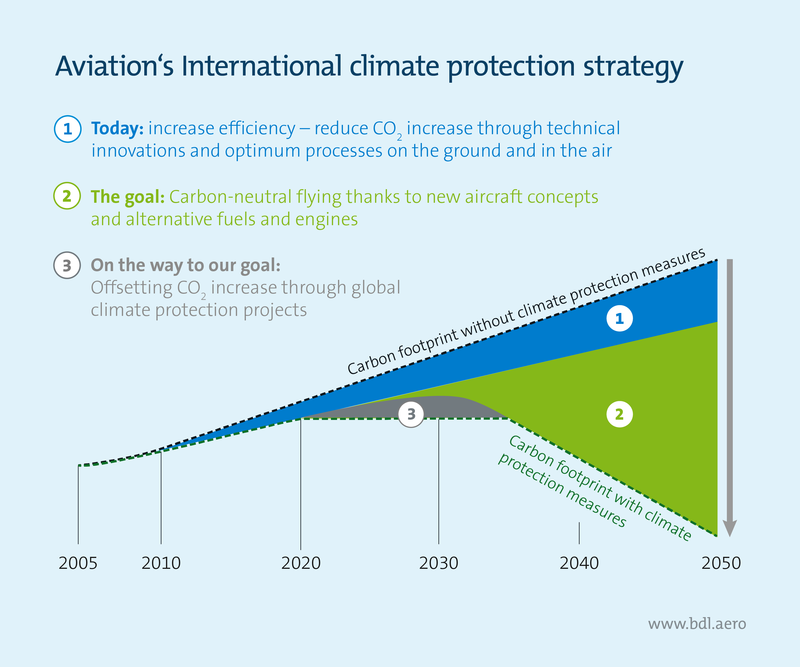 This makes the aviation industry the world's first and so far only industrial sector with its own climate protection instrument. Reducing the specific energy requirements of aircraft will cut fuel consumption and, in turn, CO2 emissions. The measures designed to achieve this improvement include technical innovations by aircraft and engine manufacturers, optimally coordinated operational processes on the ground and in the air, and implementation of the Single European Sky. In order to be able to fly CO2-neutral in the long term, we need to see the development of new airplanes, alternative fuels and drives, combined with the political support to make their use commercially viable. As global air traffic continues to grow by about five percent per year, the reduction in specific fuel consumption is not enough to stop the increase in CO2 emissions. Therefore, at the UN level, the international CO2 offsetting system CORSIA was adopted by the Civil Aviation Organization ICAO. As part of CORSIA, growth-related CO2 emissions of international flights will be compensated by financing carbon offset projects from 2021 onwards. 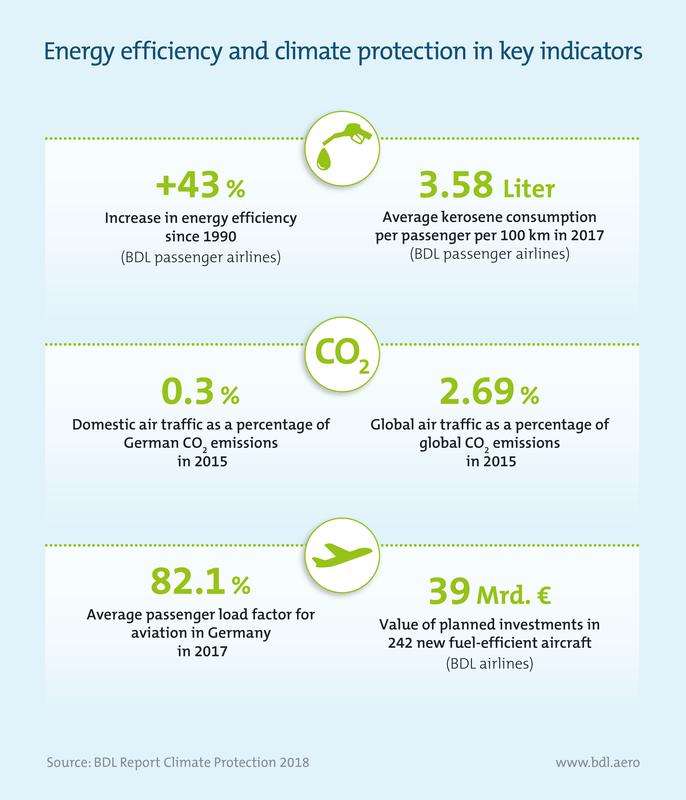 Air transport is becoming increasingly eco-efficient thanks to the aviation industry‘s success in decoupling air traffic growth from growth in fuel consumption and CO2 emissions. 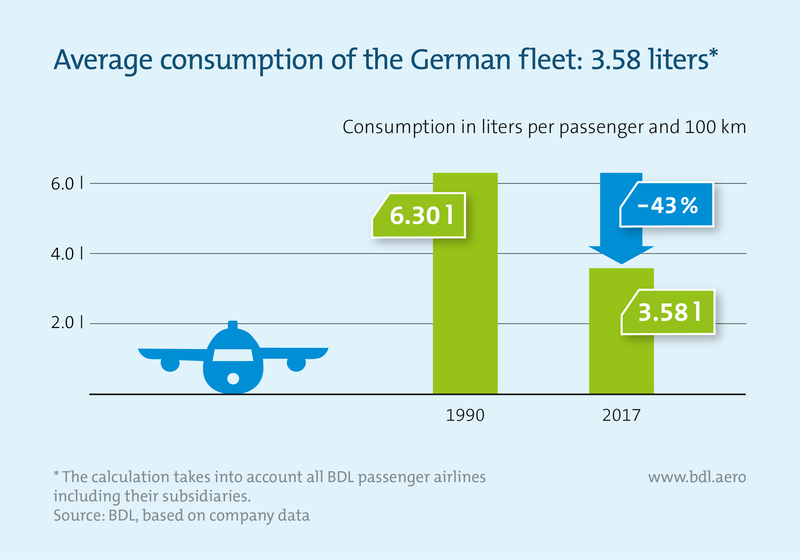 While air traffic in Germany has more than tripled since 1990, kerosene consumption has risen by just 98 percent during the same period. 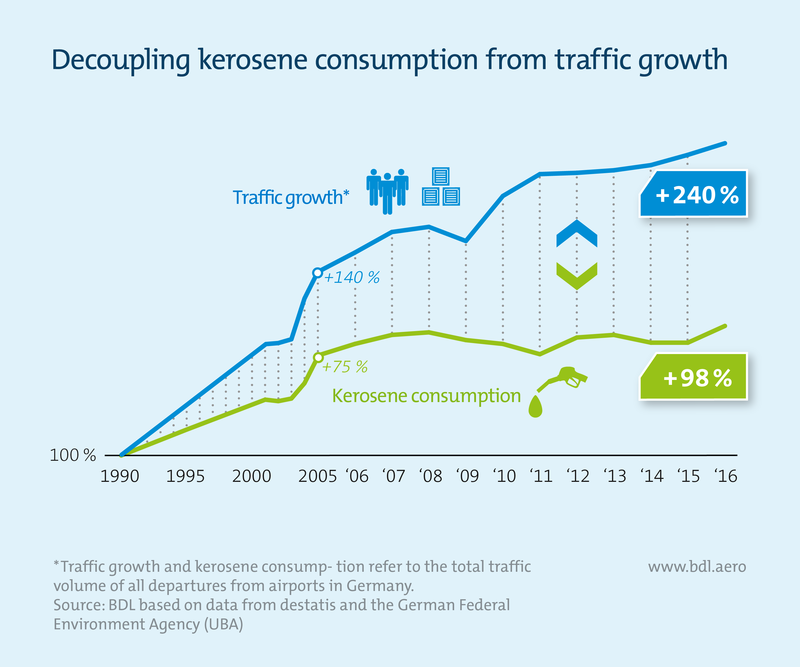 This decoupling of kerosene consumption from traffic growth has been achieved primarily by measures to increase energy efficiency. Since 1990, German airlines have reduced fuel consumption per passenger by 43 percent. 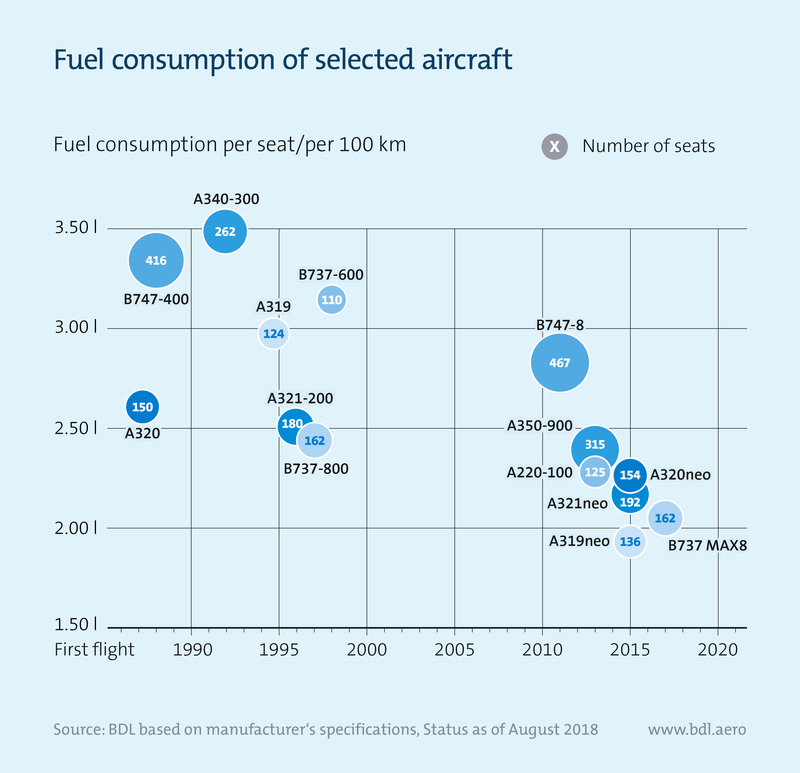 In 1990, the average consumption of an aircraft was 6.3 litres per person and per 100 kilometres. 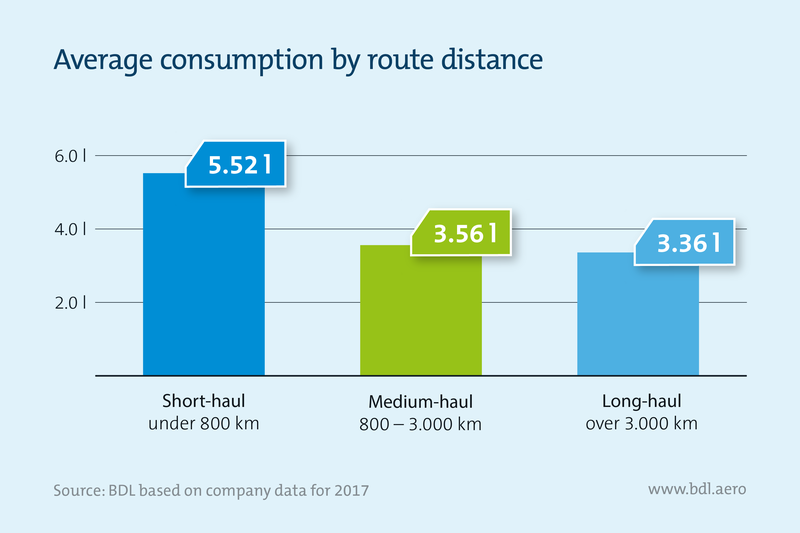 Last year, the German fleet used an average of only 3.58 litres on the same route, which is a new efficiency record. The consumption per passenger for air traffic depends on, among other things, the passenger load factor and distance flown. Charter flights use, on average, less kerosene per person because long-term planning and booking generally mean a higher passenger load factor than scheduled flights. 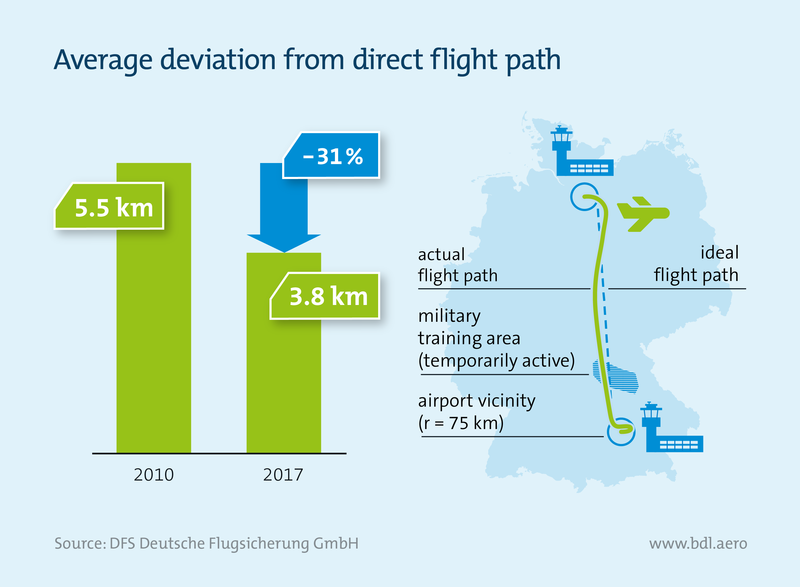 In recent years, German air traffic control (DFS) has successfully improved routing efficiency, enabling a 31 percent reduction in the average deviation from an aircraft‘s ideal flight path in Germany – down from 5.5 km to 3.8 km in 2017. If the kilometres saved in this way on all flights were added together, it would be equivalent to an aircraft flying 136 times around the globe. Ensuring optimal routings has reduced CO2 emissions by some 69,000 tonnes in 2017 alone. 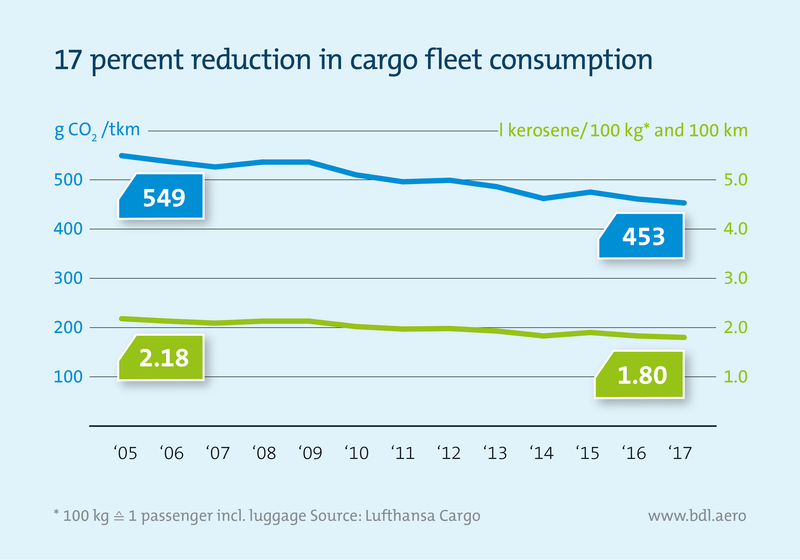 German cargo aircraft are also more efficient than ever: expressed in terms of passengers, the Lufthansa Cargo fleet only uses 1.80 litres per 100 kilometres. That is almost half the consumption of passenger aircraft. This is due to the fact that a freighter does not have to be fitted with seats and can utilise the available space more efficiently. 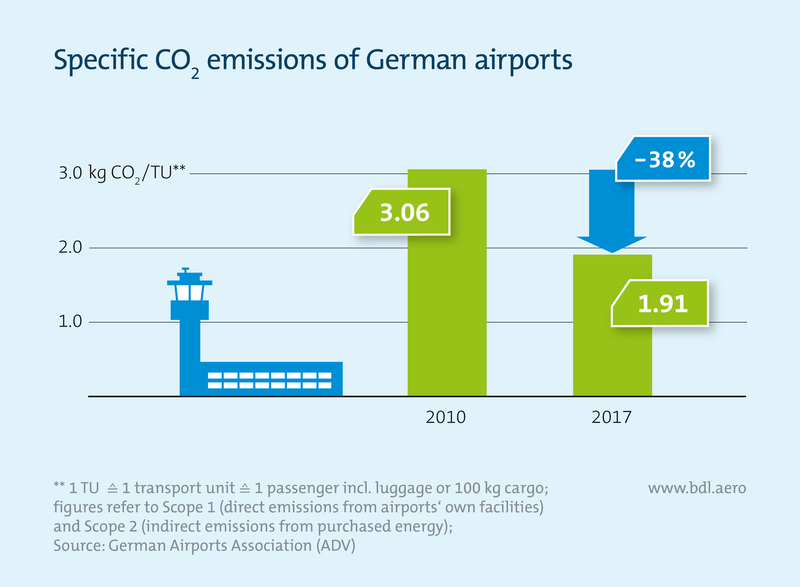 Between 2010 and 2017, German airports successfully reduced their specific CO2 emissions by 38 percent, down to 1.91 kg of CO2 per transport unit. Factors that contributed to this reduction include the optimisation of ground operations, the use of innovative technologies to run buildings and installations, such as modern heating controls, and the use of alternative vehicle propulsion systems, such as electric vehicles. For years now, aviation has been improving its energy efficiency and carbon footprint around the world. 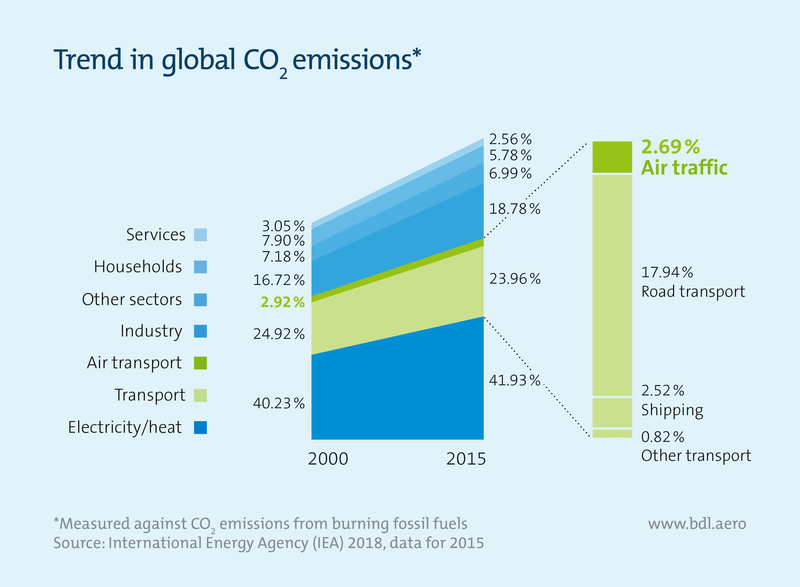 Despite high growth rates, aviation accounted for 2.69 percent of global CO2 emissions in 2015. By comparison, the share was 2.92 percent in 2000. This is due to increasingly efficient flights ensuring that the absolute CO2 emissions in the aviation sector grow at a lower rate than emissions from other sectors. 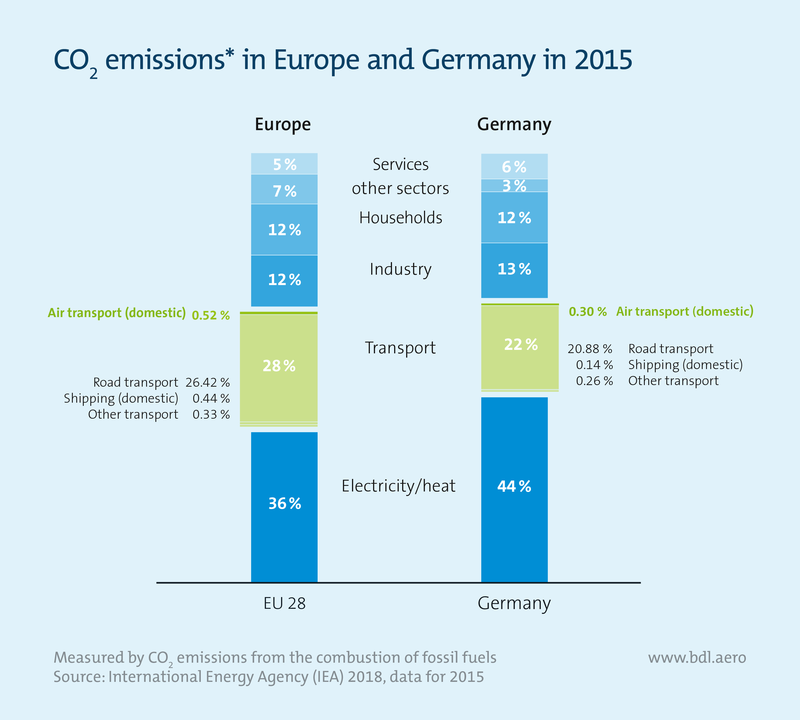 In 2015, intra-European flights accounted for 0.52 percent of total CO2 emissions in the EU, while in Germany the share of CO2 emissions from domestic flights was 0.3 percent of total German emissions. Reducing the fuel consumption of an aircraft, and thus its carbon footprint, requires a multifaceted approach. Key factors are propulsion systems, aerodynamics and weight. Technical innovations mean that fuel consumption is reduced by up to 25 percent with each new generation of aircraft. While the most effective action is investment in new aircraft, this presupposes that airlines have sufficient resources. 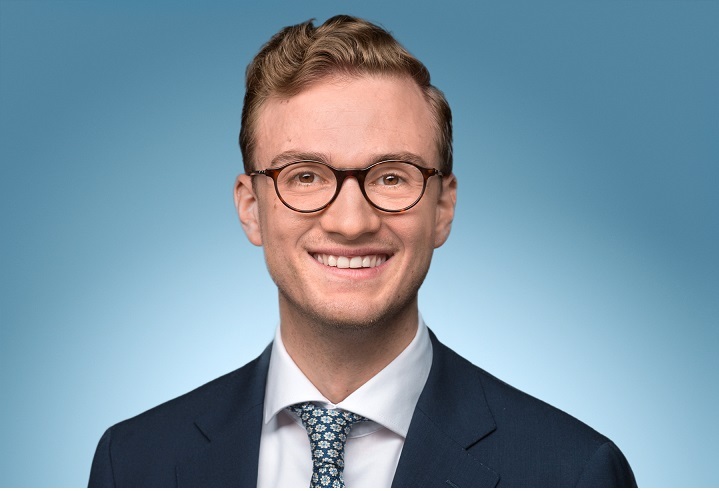 Unilateral approaches, however, such as Germany‘s air travel tax, create an unlevel playing field and distort competition to the detriment of German airlines – which reduces the ability to invest and undermines innovation for more climate protection. In spite of this, German airlines are continually investing in new aircraft; currently in 242 more fuel-efficient planes at a list price of €39 billion in total. It is an effective combination of economy and ecology, given that fuel costs account for up to 30 percent of an airline‘s overall operating costs. Investment could be higher still if only the legislators would act to mitigate the competition-distorting effects of unilateral burden.